Hey guys! It’s been quiet around the blog lately because I’ve been working on a special new project. I’ll share details on that with you soon. 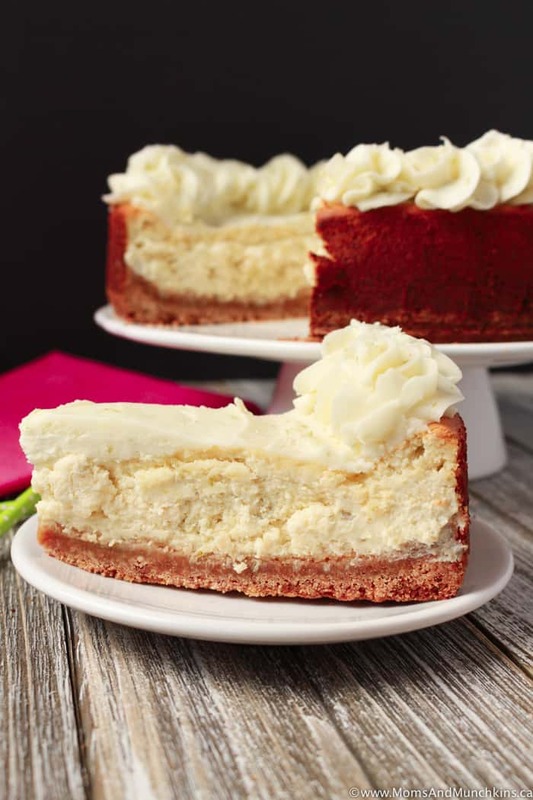 In the meantime, let’s get back into some delicious desserts. 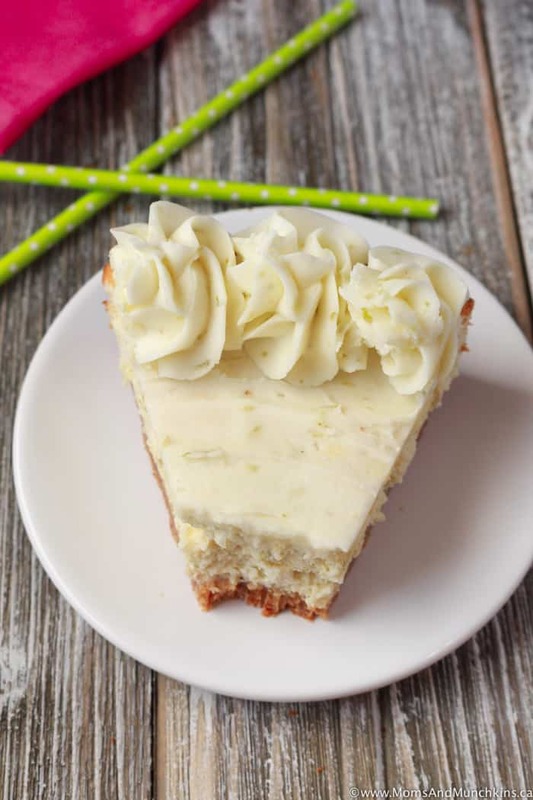 This yummy Key Lime Cheesecake starts with a sugar cookie crust, then a tart key lime cheesecake filling and is topped with a sweet & tart key lime buttercream frosting. 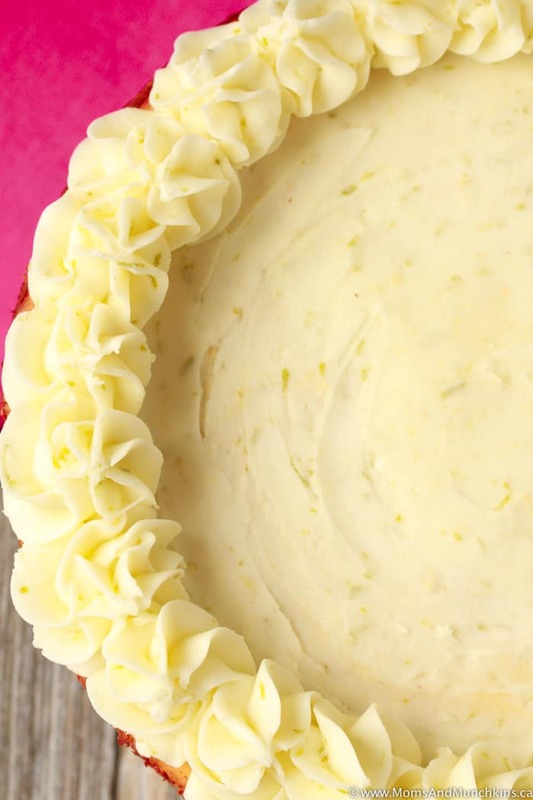 A great dessert recipe for the summer party season! What’s your favorite summer dessert? Fresh fruit pies? Ice cream? Cotton candy from the carnival? I love it all! 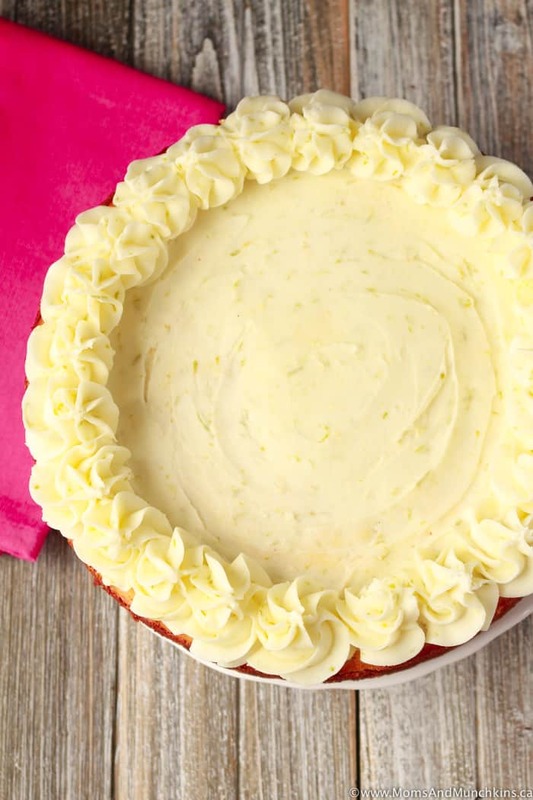 You’ll need to let this cheesecake chill in the fridge for at least 4 hours before slicing. It’s best if left overnight to set so make sure you leave time for that in your party plan. 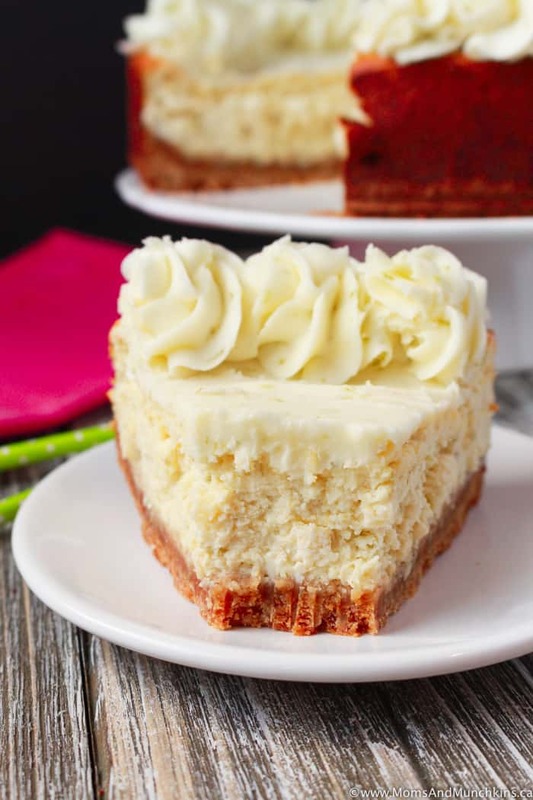 You'll need to let this cheesecake chill in the fridge for at least 4 hours before slicing. It's best if left overnight to set so make sure you leave time for that in your party plan. Make cookie mix as directed on the package using the egg and butter. Spread dough evenly in a 9" round spring form pan. To keep the cookie from sticking, you can add a round circle of parchment paper between the pan and the cookie dough. Bake 20 minutes just until dough is set. Reduce oven temperature to 325F. Add eggs, one at a time, beating well after each addition and occasionally scraping down the inside of the bowl. Beat in sour cream, key lime juice, key lime zest and flour until smooth. 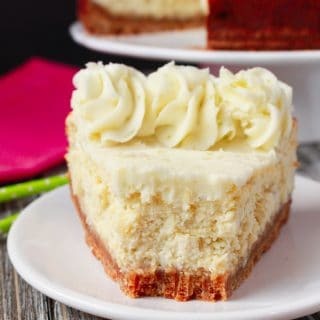 Pour cheesecake batter over baked crust and smooth top. Bake until the middle is set (no longer jiggling). This takes about 70 minutes. Let cool completely on wire rack then cover and refrigerate for at least 4 hours before removing from the pan. Run knife around inside of pan before removing cheesecake. In a large bowl, beat shortening and butter on medium speed until light and fluffy. Gradually add confectioners’ sugar (one cup at a time) scraping down sides of bowl to make sure everything is mixed together well. Beat in key lime juice and zest. If icing is too thick, add a bit of water. If icing isn't thick enough, add more confectioners' sugar. 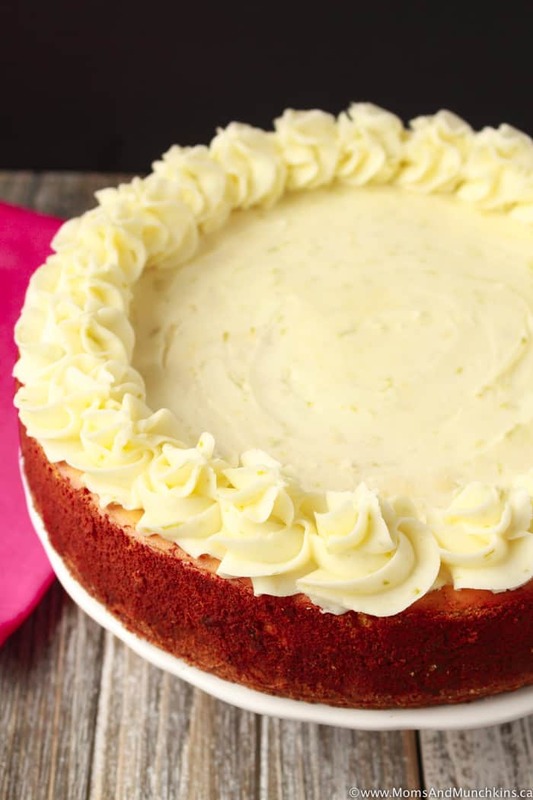 Add icing only after cheesecake has completely cooled. 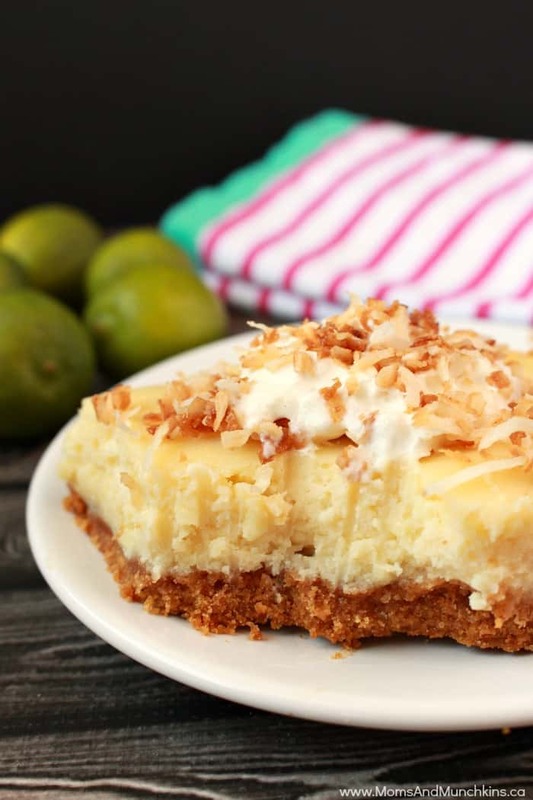 Key Lime White Chocolate Cheesecake Bars – key lime & white chocolate is a delicious combination! 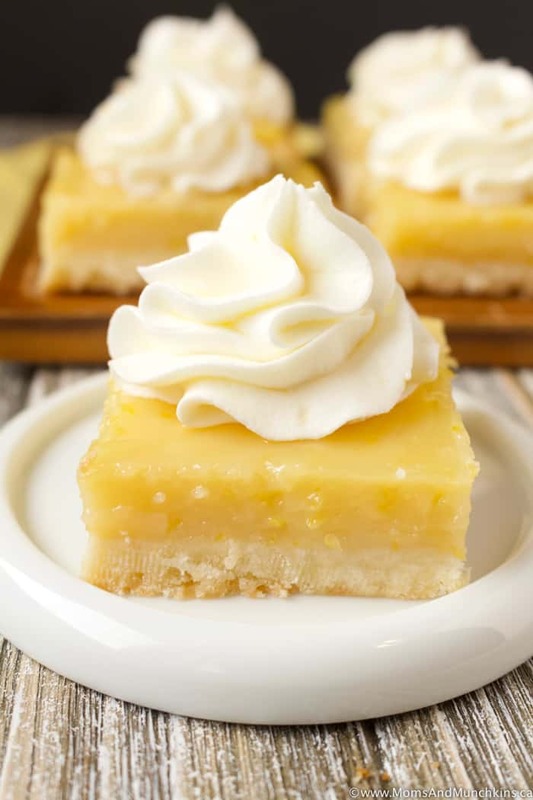 Lemon Buttercream Bars – the perfect combination of sweet and tart! 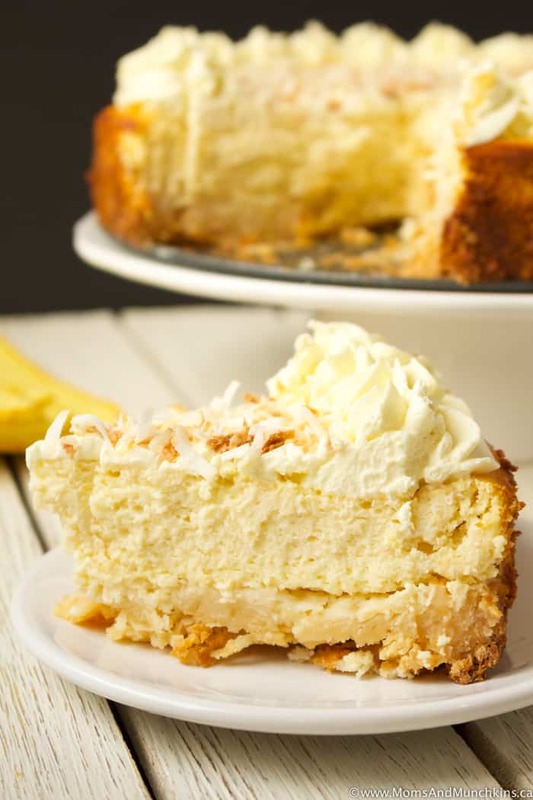 Lemon Coconut Cheesecake – with a chewy coconut crust! Visit our Recipes page for even more tasty ideas. Stay updated on the latest ideas for home entertaining by following us on Facebook, Twitter, Instagram and Pinterest.